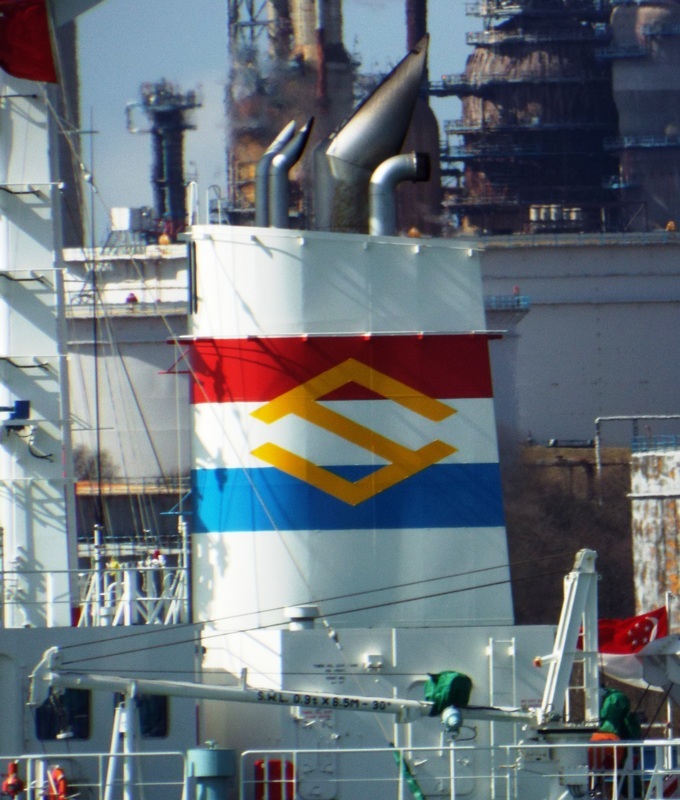 ​Stena Performance's funnels (IMO 9299159, GT 36168, 2006) photographed at Fawley on 30 October 2015. 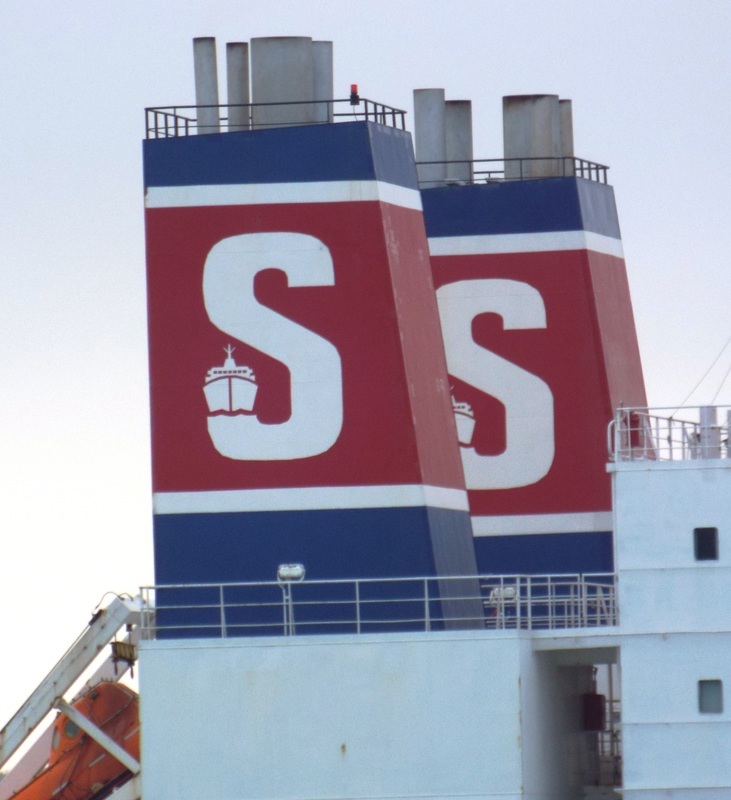 Stena Bulk was founded in 1982 and is one of the world’s leading tanker shipping companies providing the transport of crude oil and refined petroleum at sea. 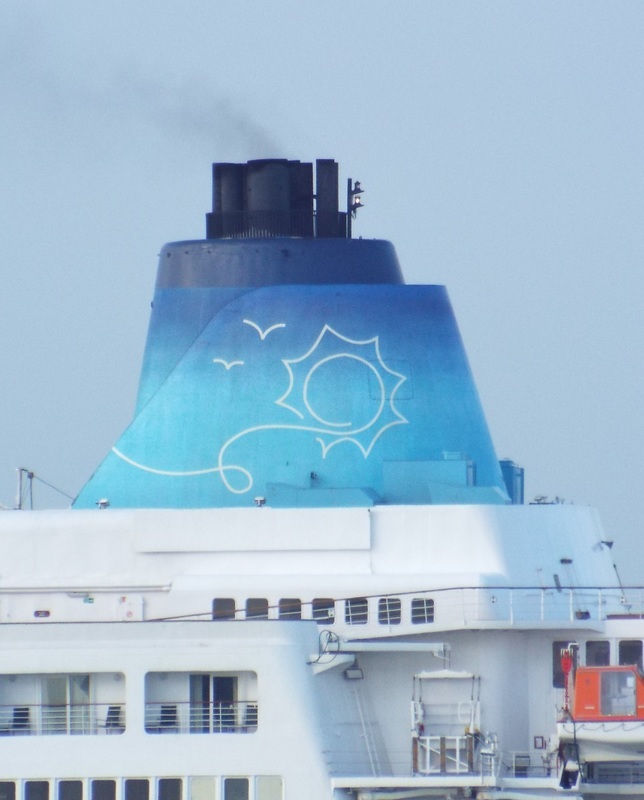 ​Their fleet consists of approximately 100 vessels and they have offices in six countries and employ around 20,000 people. 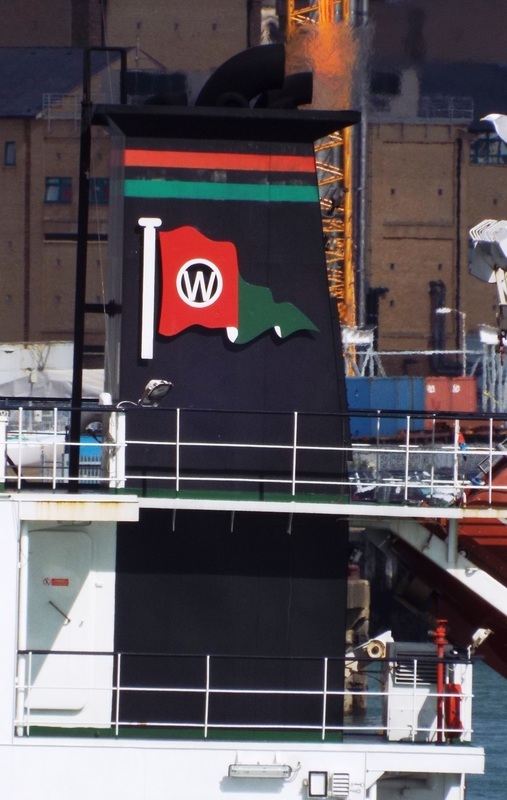 ​Western Shipping was set up in Singapore in 1987 with the primary focus to conduct agency business and crew management. In 1992 after a change of ownership the business became a technical management company. 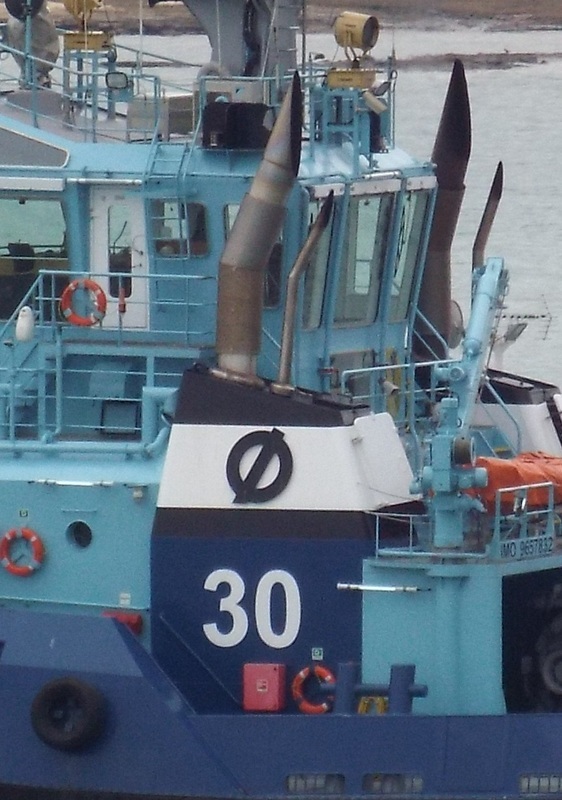 5Ostensjo Rederi are based in Haugesund, Norway and have been operating since 1973. Ship photographed was the Lomax (IMO 96578322, GT 426, 2012) at Fawley on 4 April 2016. 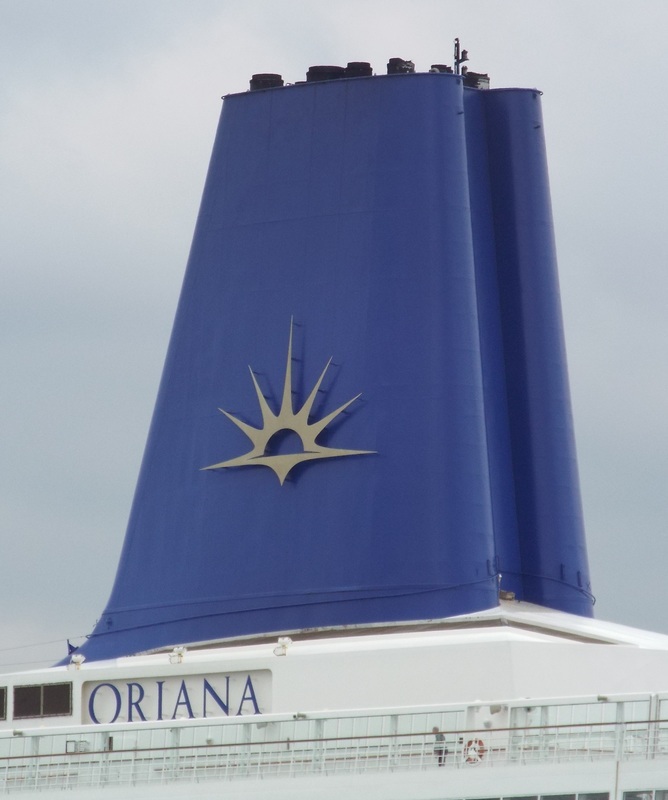 The Company was founded by Odoardo Amoretti (1921-2008) in the 1940's as a road haulage business but they soon commenced operations in transportation by river and by sea. 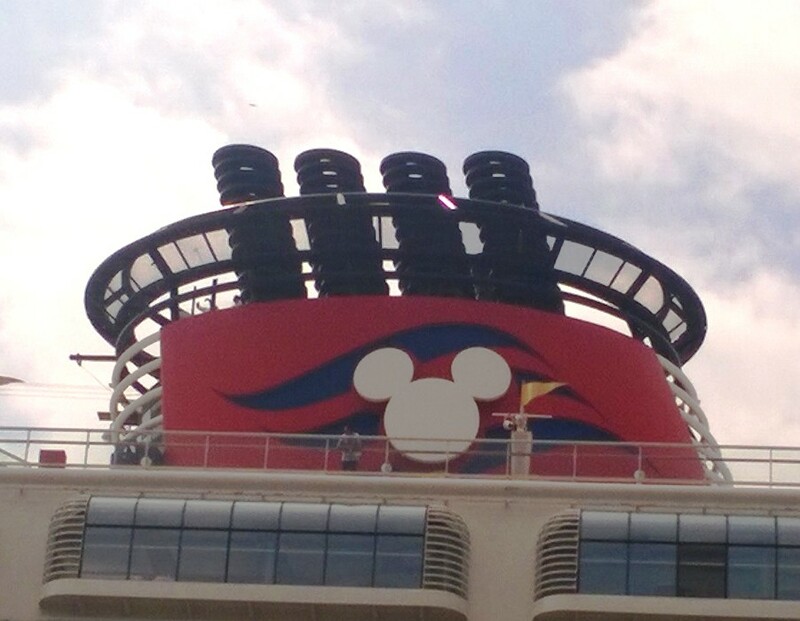 Currently they have a fleet of twelve vessels. 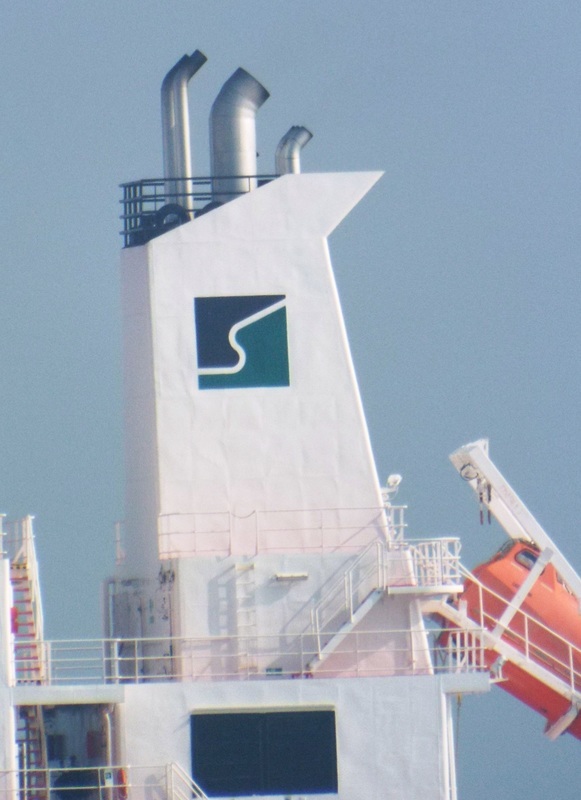 Snow Shipping PTE Ltd was founded in 1993 and are based in Singapore. 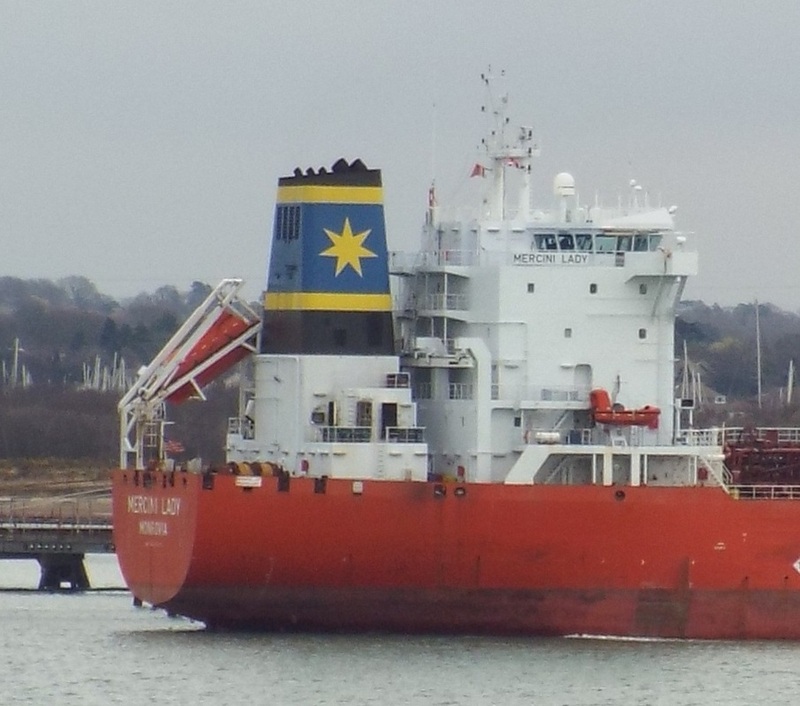 Photograph taken at Fawley on 11 April 2015, vessel is the LPG Tanker Kazak, (IMO 9739549, GT 7891, 2014). 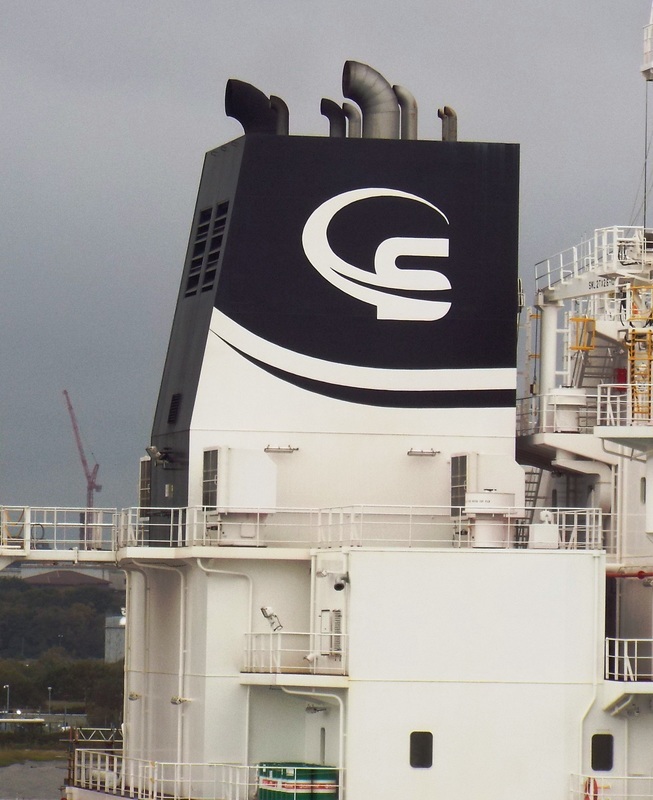 Whitaker Tankers are headquartered in Hull and operate a fleet of inland barges and sea going tankers in UK and European waters. They are a family run company who have been in business for over 130 years. 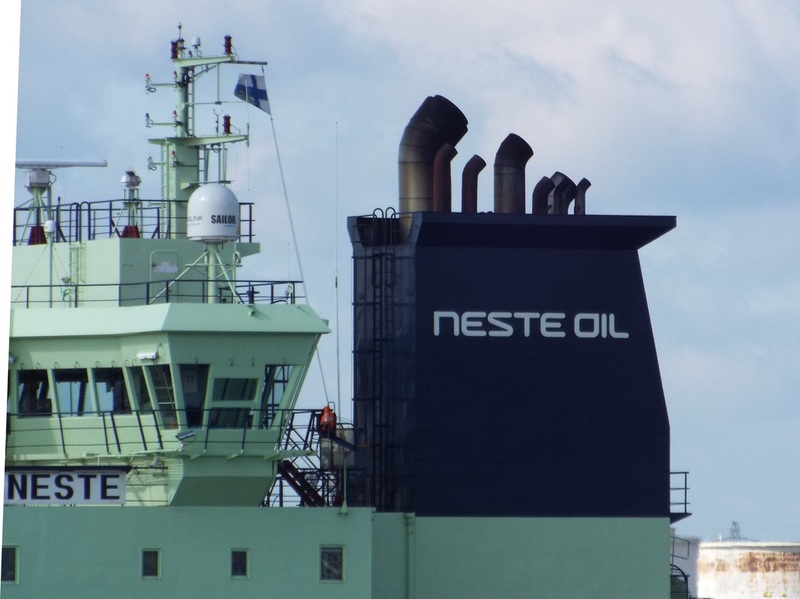 Neste was established in 1948 as the state petrol company of Finland to ensure the availability of refined fuels to the country. They are headquartered in Espoo, Finland. Funnel of Crystal Serenity (IMO 9243667, GT 68870, 2003) photographed in Liverpool on 29 August 2008. 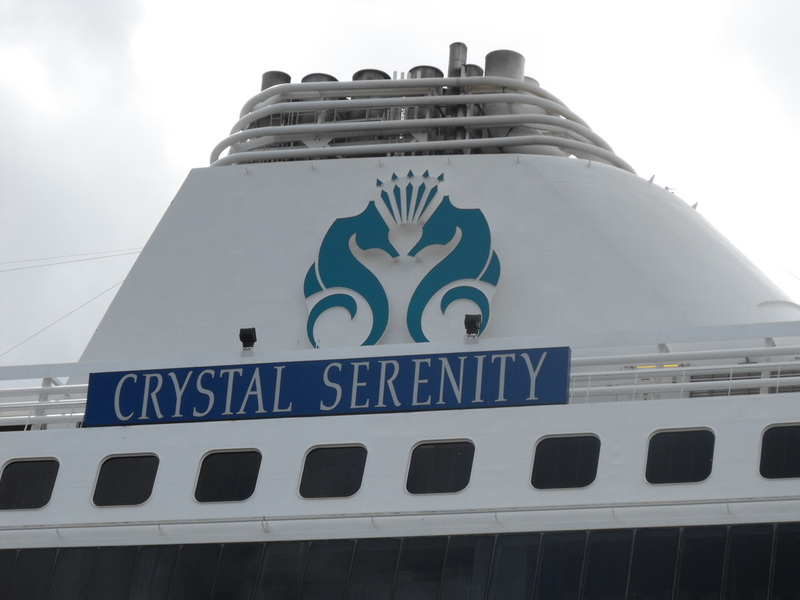 She is one of two vessels operated by Crystal Cruises which was founded in 1988. 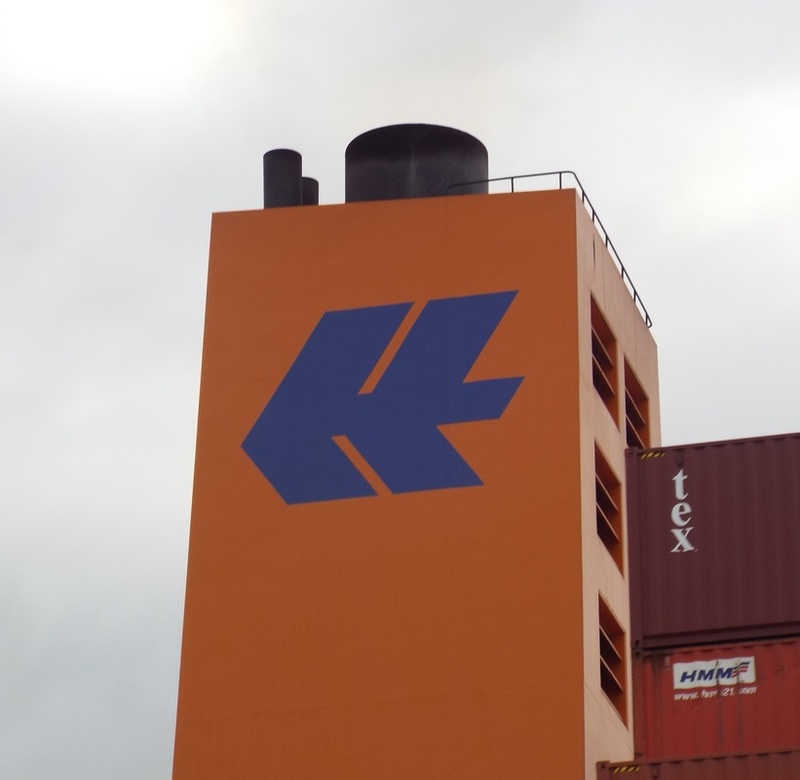 The Company is wholly owned by Nippon Yusen Kaisha (NYK) which is headquartered in Tokyo. 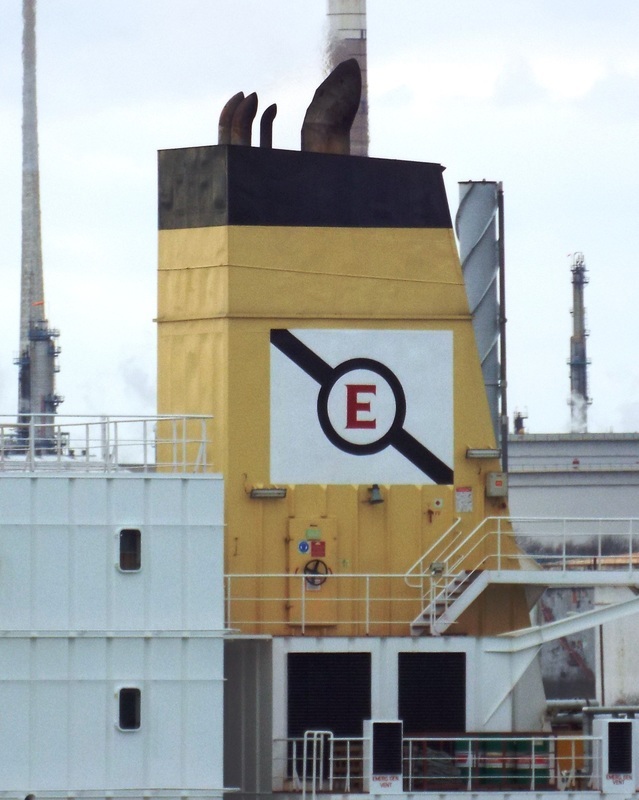 Funnel from the tanker Frank (IMO 9204049, GT 9266, 2000) photographed at Fawley on 4 April 2015. 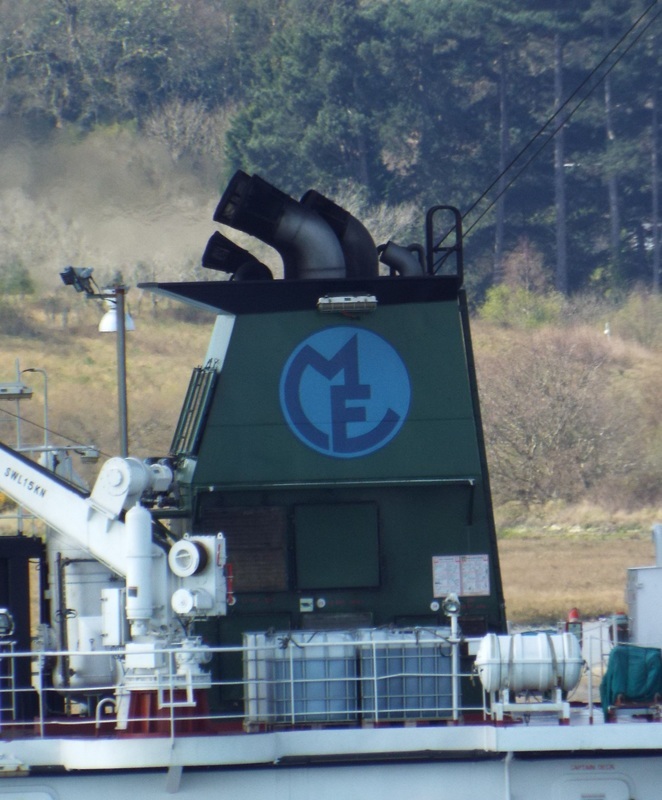 She is operated by Carl F. Peters who are based in Hamburg, Germany and were established in 1924. 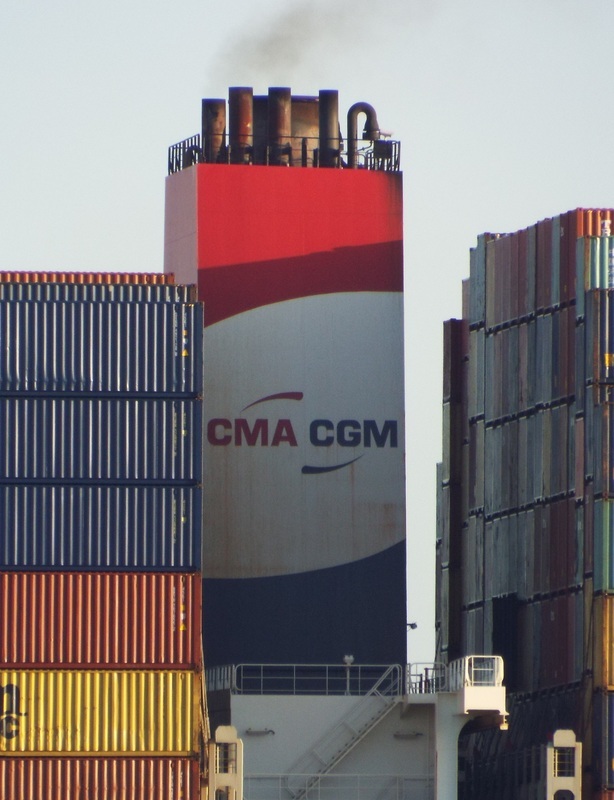 The company started as on operator and owner of tank barges and coastal tankers. Funnel from Discovery (IMO 7108514, GT20186, 1972) photographed in Liverpool on 11 March 2014. 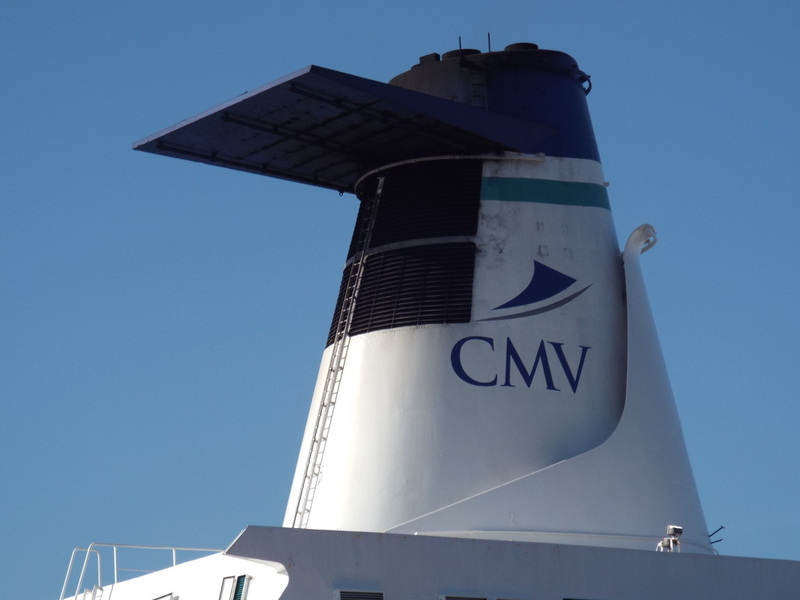 She is operated by CMV (Cruise & Maritime Voyages) which was formed in 2009 by parent Company Cruise & Maritime Services International after German based Transocean Tours filed for Bankruptcy.